These must have been a hoot to ride! Where any of these convertables saved? Don't think I've ever want to get off! A few years ago I picked up a bell from the roof of a 100/300 series car of the Third Avenue Railway. It was offered for sale by an elder person who picked it up as a teenager from where ever the cars were being dismantled. He used it under the hood of his car, then for "wake up the neighbor" parties. And it was then time to pass it on. It is loud and now a family tradition for ringing in the New Year! Nice to see your pictures from back when this bell was in normal service on the TAR. Also, the bell was never painted over and still has layers of weathered roof paint. 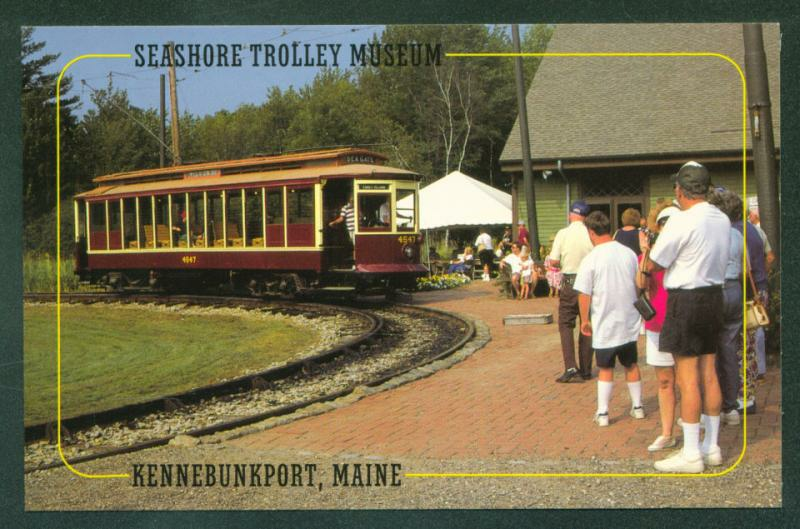 I think the Shoreline Trolley Museum in East Haven Connecticut has a couple, though maybe not NY cars. 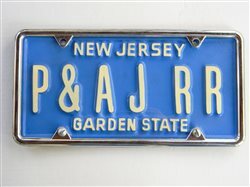 They do have some open cars from the Connecticut Company that are totally open. They were used in the summer (obviously) but the CT Company also used them in winter to serve the Yale bowl when Yale University had home football games. People would ride inside and also on the outside on the running boards. There are pix on line showing these open cars on game day carrying almost twice as many people over capacity with half the passengers hanging off the running boards! 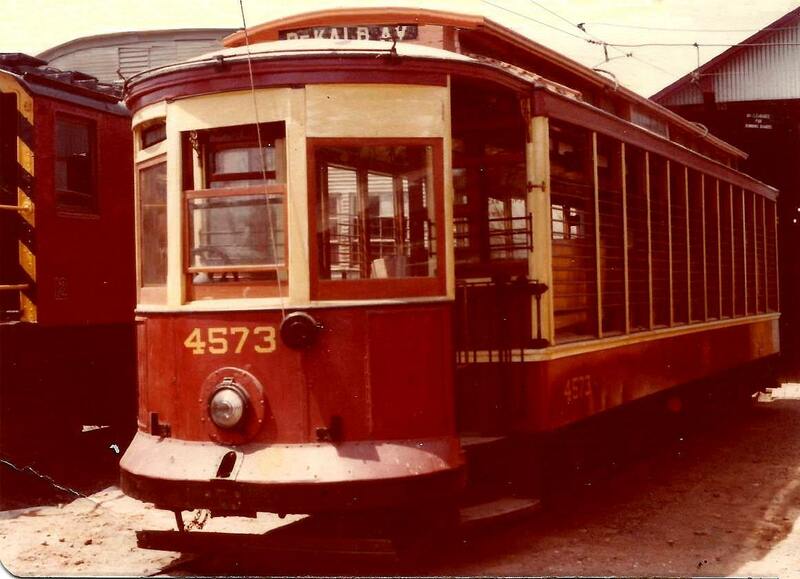 Seashore Trolley Museum has Brooklyn (BRT) 4547. It runs, but has some wiring issues. Currently on display in Highwood barn. 4573, at the controler handles of which I probably logged over a thousand hours, is the same type and looks the same, at the Shore Line Trolley at Branford and East Haven CN. 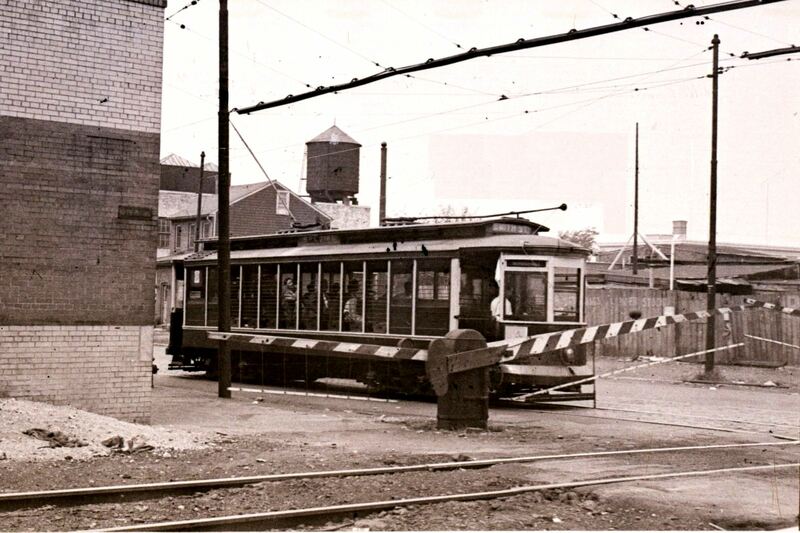 The Saint Anns Avenue line, straight north-south on that Avenue, was lettered "L" because originally it ran east from the southern terminal on E. 133rd St. west to Willis Avenue and the southern terminal of New Haven's Harlem River Shuttle from New Rochelle, and the NYW&B, and the 3rd Avenue Elevated shuttle to 129th Street. The construction of the Triboro Bridge forced abandonment of the east-west leg. Was that last photo a convertable in winter configuration? Put-in, 149th X-town on K-line enroute to its job from Kingsbridge Carhouse. Summer config on the 149th, here from a K car window at 145th & Amsterdam. 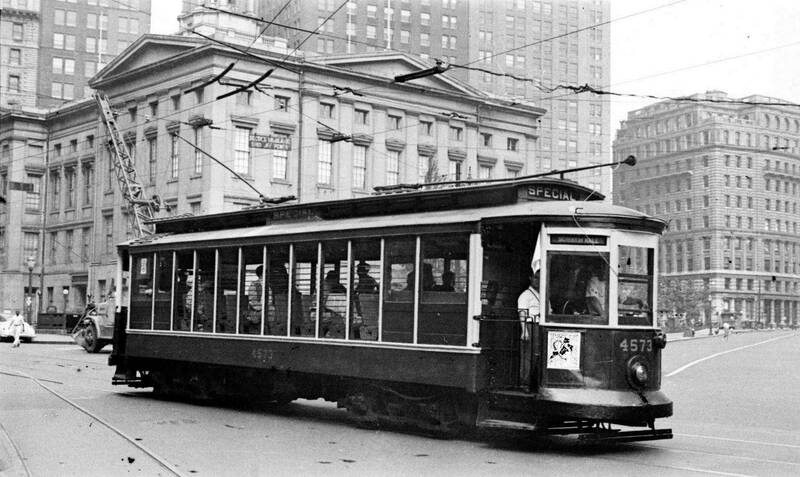 This line was the very last line to use conduit in New York, and probably the last to use convertables in regular service. 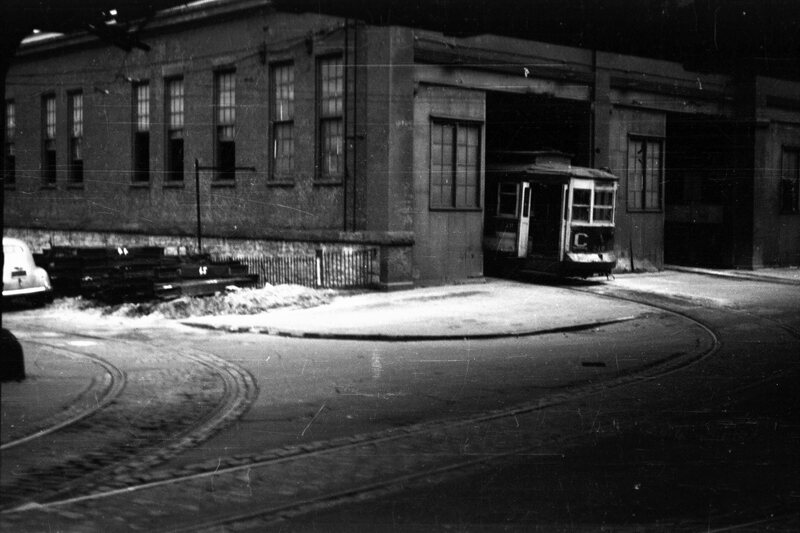 It had a plow-pit at 145th & Lenox, just west of the Harlem River bridge. Despite two lighweights and only one convertable, posting is here so you can compare a curved-side convertable with the newer stright-side version posted earlierl West Farms SQuare looking west. Above at the grade crossing of Metropolitan Avenue wit) h the now abandoned (?) Bushwick branch (freigh only) of the LIRR. Possibly on Metropolitan Avenue near the Brooklyn - Queens line. In some of the photos it looks like there are shades you could pull down in the rain. How were you able to see out when your stop came up? A very good question. On a fan trip, the grill bars replaced window panels for the entier side, both sides. 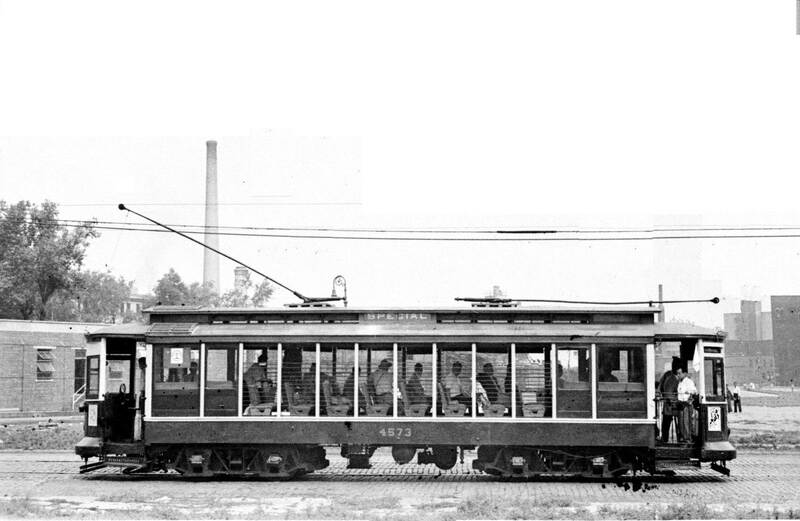 In regular summer service, and photos should show this, only the middle eight panels were replaced, with two window left in place on both ends on both sides. 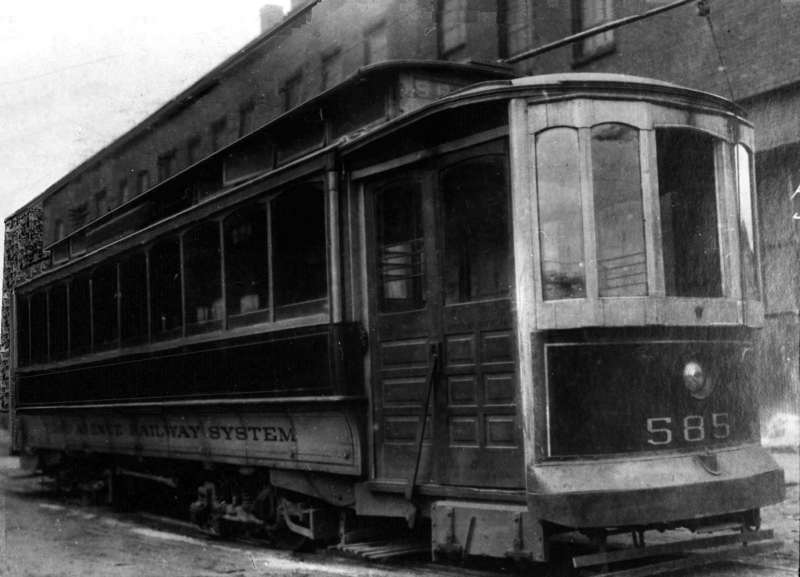 This was regular practice of Third Avenue's convertables, on the Brooklyn colnvertables, and on the 1300-series composite 1910 open-platform Brooklyn elevated cars, the last "gate-cars" to be retired, I think on any USA rapid transit system. So one would look out ahead or back through those windows. 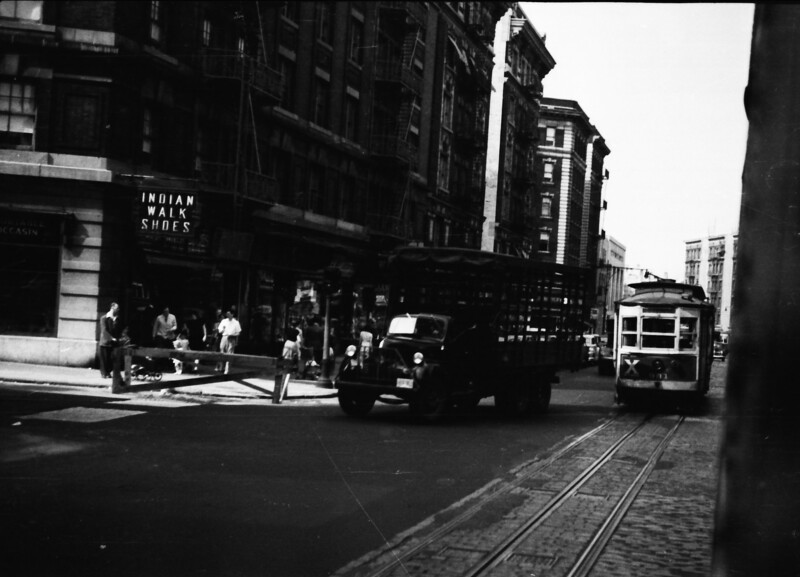 Correction: As the photos show, Third Avenue left one panel on each end with windows and used bar-grilles on 10 in the center. Thanks for sharing, lots of WOW in each picture. Here are two views of Third Avenue Transit's straight-side convertable 210 about to leave West Farms carhouse at 174th St. and Southern Boulevard to head north a few blocks to West Farms Square and then begin a run to West 262nd Street, The Bronx - Yonkers City Line, via Southern Boulevard-Bronx Park West, Fordham Rd., Kingsbridge Road, and Broadway. 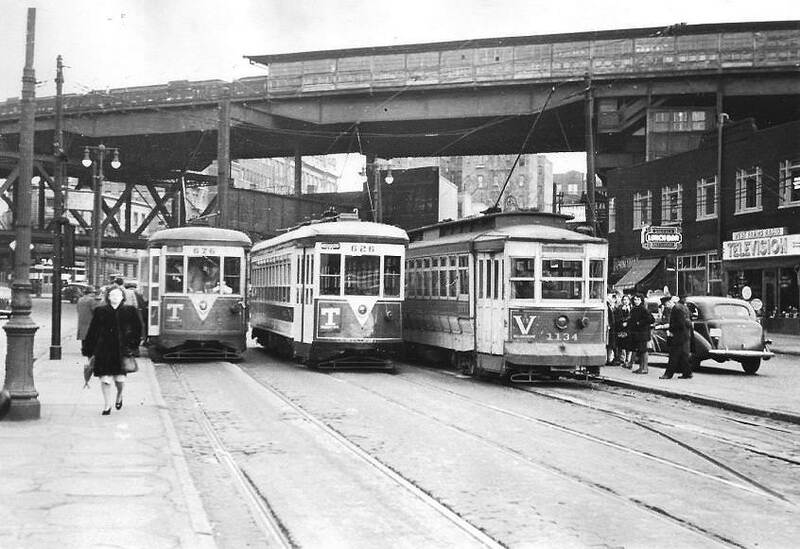 The "C" was called "The Bronx and Van Courtlandt Parks line. The late Bernie Lindner sent me these photos. 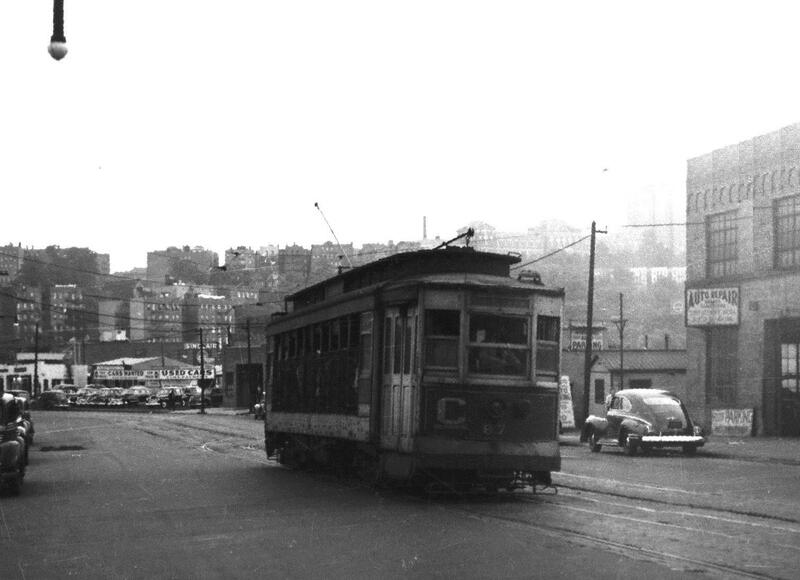 Just retored this photo: Straight-side Third Avenue Transit convertable at 262nd St. and Brodaay, the Yonkers City Line. 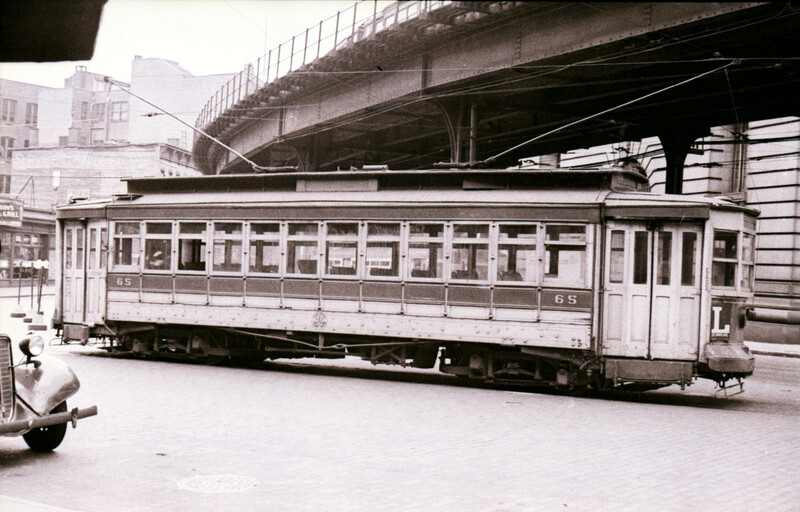 The "C" "Bronx and Van Courtlandt Park" car has come from West Farms Square via Southern Boulevatd, Fordham Road, Kingsbridge Road, West 225th Street, and Broadway, and is in the reversing process to return to WFA. 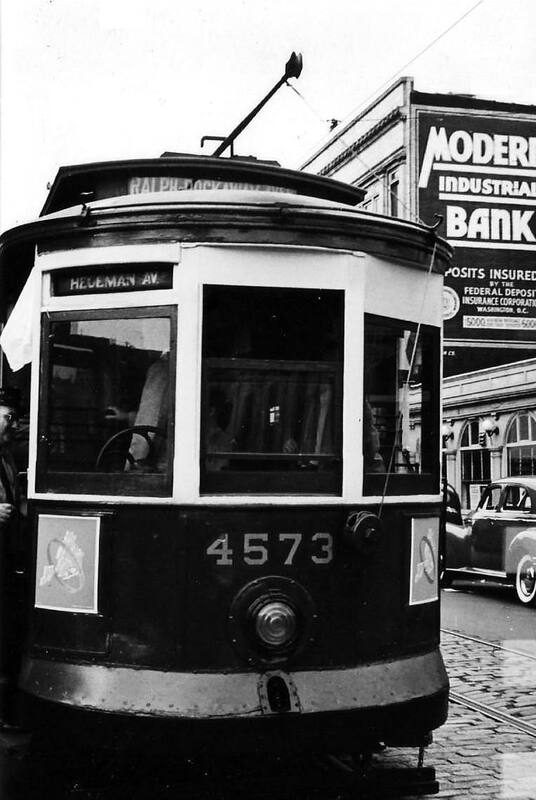 To go further north into Yonkers, on had to board a 1, 2, or car, which came from the elevated subway terminal at West 242nd Street and Broadway (see the Third Avenue lightweiight thread), and pay another fare. Howard Stern was a fellow camper at the Wah-kee-nah summer camp and also ended up being a year ahead of me at MIT. 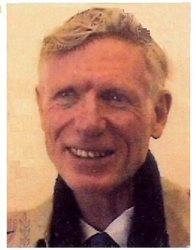 He lived in an apartment house on the north side of 262nd Street, I think the anomoly still exists there that the mailing address is The Bronx, but taxes are collected by Yonkers. 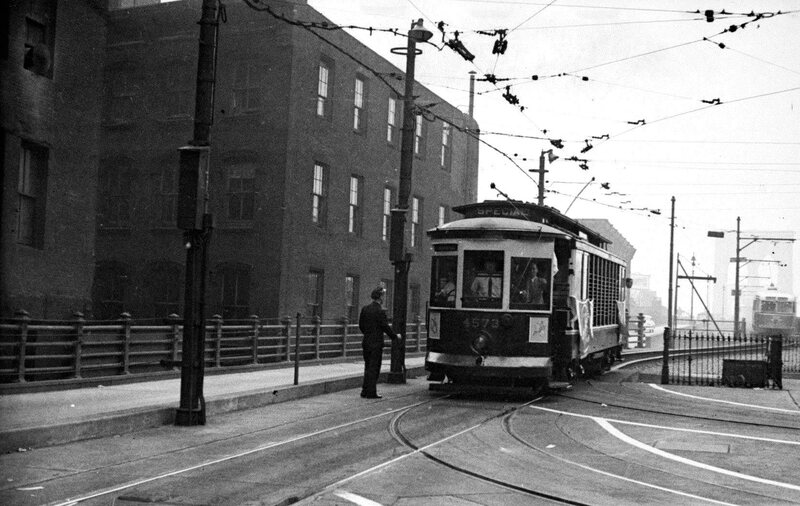 Anyway, visiting Howard was a good excuse for streetcar riding. 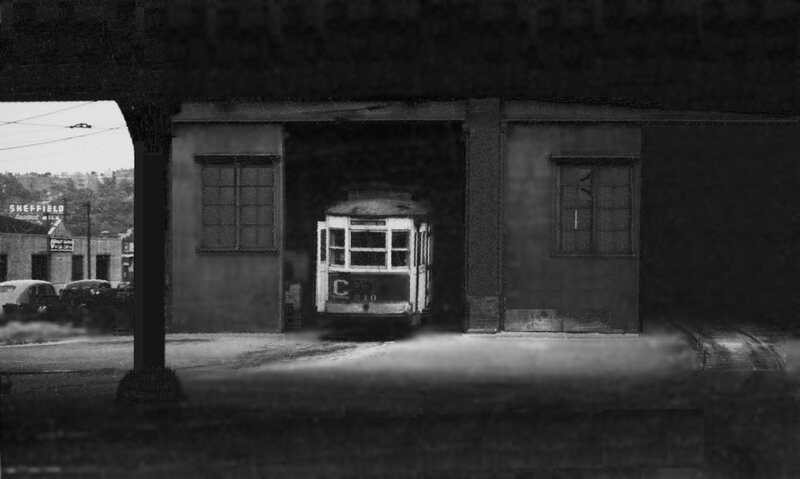 The "C" went bus in late Autumn 1947 or Winter 1947-1948, But the track connection south of 242nd Street to the Bronx system was maintained until after the last Bronx lines quit in August 1948, The last half-year of C trolley operation saw the convertabls replaced by 1201-series second-hand lightweights displaced from the University Avenue, 167-169 St. X and the 161 St. X. No. 585 was part of an order of 123 wooden double-truck deck-roof Box cars (551-673) from Brill in the name of the Union Railway, delivered between 1904 and 1906 (during the Metropolitan era). 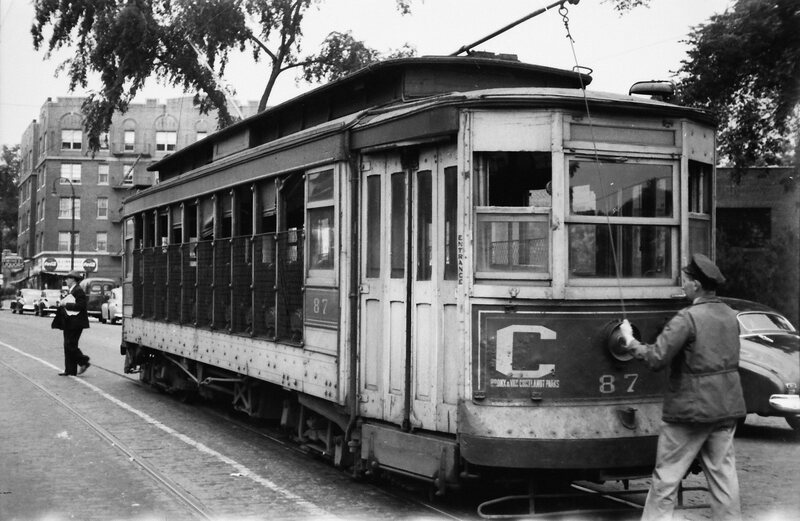 Naturally they were mostly used in The Bronx, at least until between 1924 and 1935 when they were gradually retired. No. 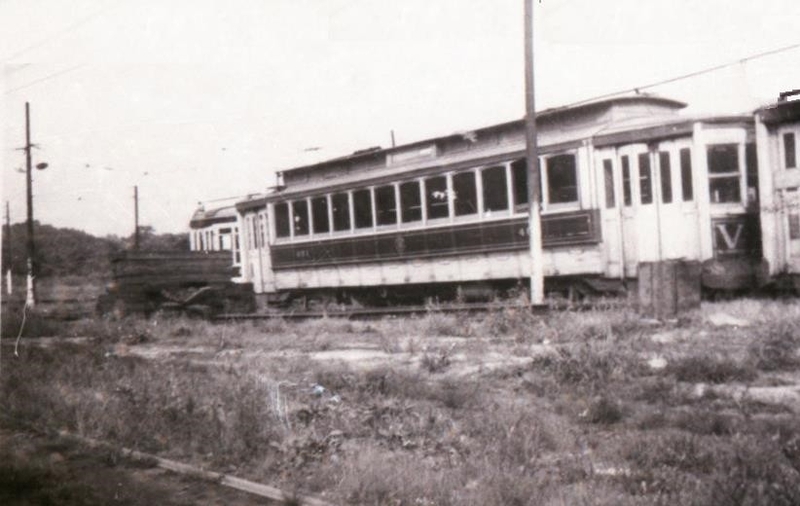 585 was taken out of service in December, 1932. 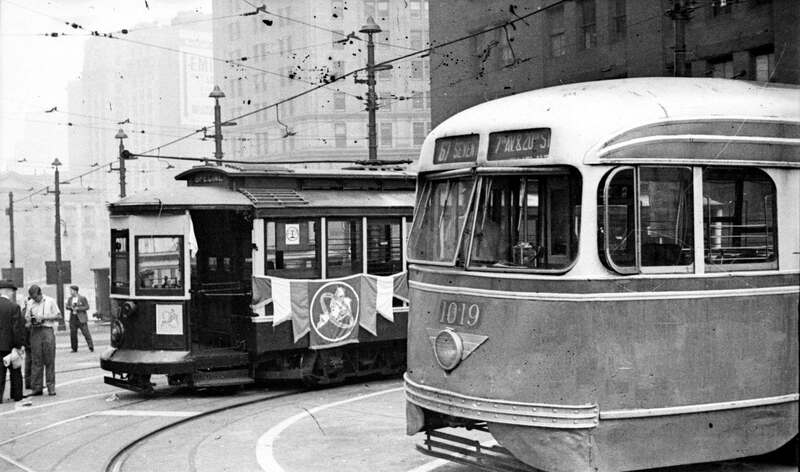 The first 30 of the units were "sold" to the New York City Interborough and were renumbered in the 300 series. Some of the other 93 served for part of the time on Steinway and in Westchester. 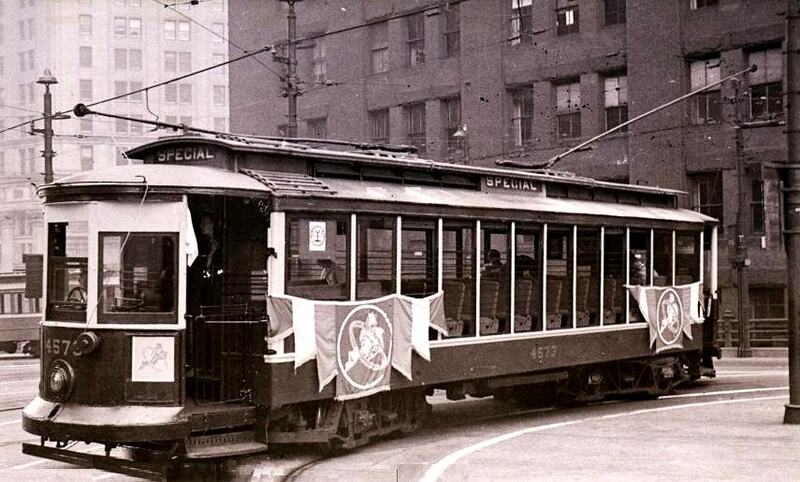 DLK: The NY Interborough ran "Green Lines" NY Railwayys until the 1926 General Motors financed purchased for eventual (195-1936) conversion to bus operation. The TARS-TATS 585 I knew and rode was an aluminum Huffliner on the B, B'way-42nd. But there was a prior one. Was it renumbered? Two 42nd Street views, the upper across 12th Avenue from the West Shore (NYCentral Sys.) 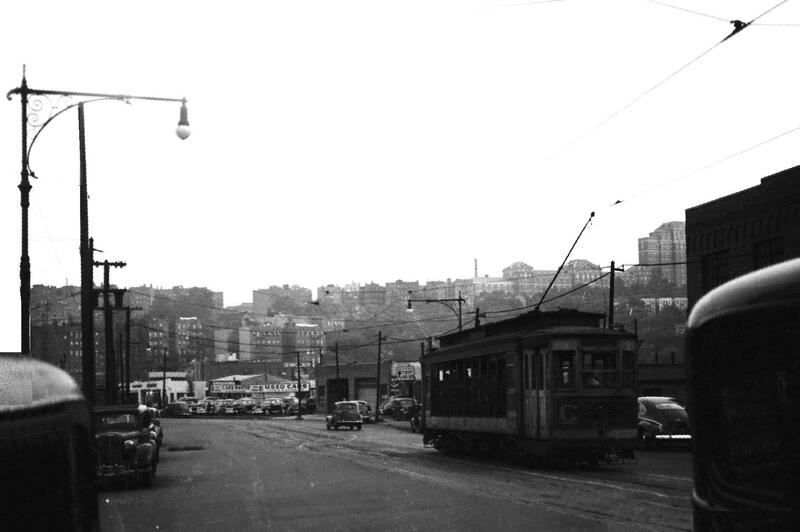 ferry to Weehawken, and the lower around 11th Avenue. 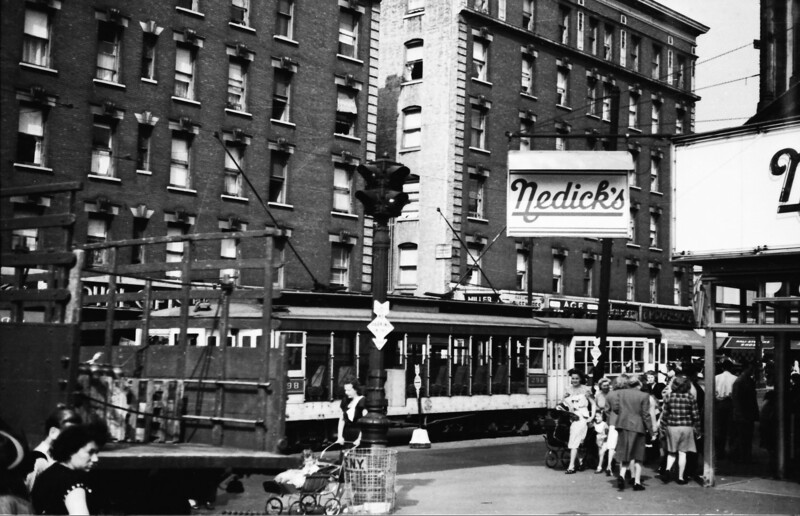 Up to 1936, the terminal had four tracks, with the additional two on the south side for the New York Ry. 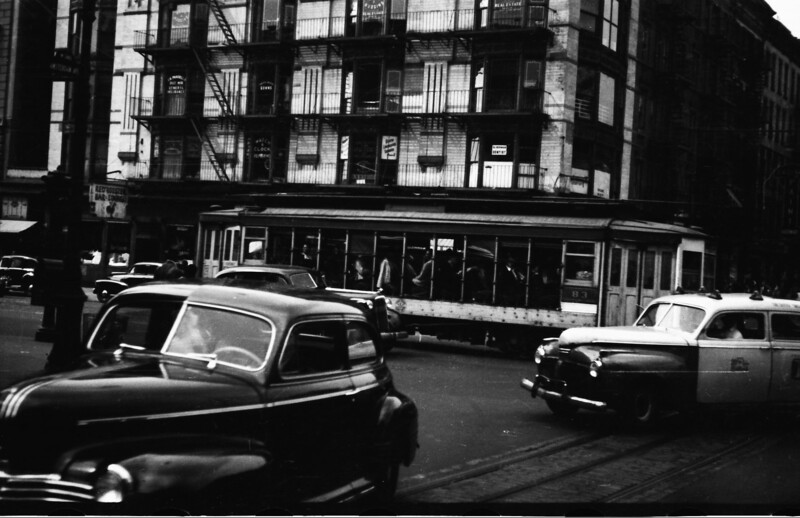 's 34th St. Crosstown, which ran south on 10th Avenue to 34th St. Third Avenue's 10th Avenue line ran north from 42nd to 72nd, then shared tracks north of that point with the "B" Broaday-42nd St. line.